I am busy implementing the Reverse Attack Marketing course by Jennifer Ledbetter through October. I’ve set my self the challenge of having 31 RAM campaigns completed by the end of October. 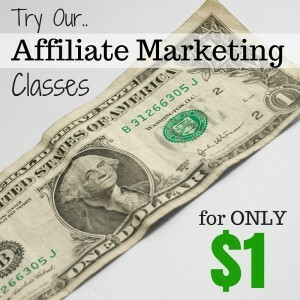 The course teaches you to set up pages on a number of free sites where you can rank highly for buying type keywords and send the traffic to an affiliate offer like Amazon. There are 3 parts to this – keyword selection, test the keyword, and expanding the successful tests. You can see my review starting here Reverse Attack Marketing Part 1 for a fuller explanation. There are a number of clever ideas that certainly sound like they should work and you can make money from them, but rather than just review a course I now like to try them out before giving an unreserved opinion – good or bad. In this post I want to give an update on how I’ve been getting on, what’s been achieved and my current thoughts on the course. In terms of time invested so far this month on this I would estimate 35 hours based on time for keyword research, 10 minutes per RAM test and 1 hour per RAM Campaign. There is a 4th step where you grow the campaign once you’ve proved the RAM campaign is profitable. At this stage I’ve not even looked at this because I’ve not seen any sales come through. I admit I now have a mixture of emotions on this. It is great having all these clicks through to the offers and having 8 pages ranking on page 1 of Google. The clicks appear to come in the first day the RAM campaign goes live which may come from the site itself rather than from Google. But it is very frustrating as there has not been any commission earned to date. It does feel like I’ve wasted my time and it might have been better spent in front of the TV. On the other hand it is early days – but a sale makes you feel so much better! I could see this being enjoyable when you see some income from your effort but at the moment it feels like a grind. In particular seeing pages I’ve created initially ranking high and then slowly or quickly losing their rankings to disappear to the abyss of Page 11 or more. The course does say that this may happen and the pages will start to come back after a week or so. I hope so. They do say the success of internet marketing is all about persevering until it happens, but this does get difficult when you don’t see any fruits. I intend to continue on with implementing the course to a total of 31 RAM campaigns. At the moment I do think the Reverse Attack Marketing course still has the potential to generate an income, and a number of people in RAM Google+ course have reported making sales. I think it is just a matter of time! I’ll be reporting back my next update in a weeks time.